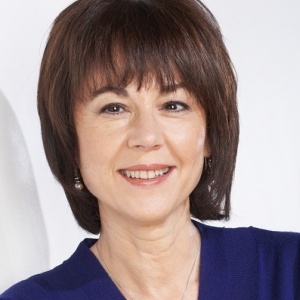 Professor Vicki Anderson is a paediatric neuropsychologist with over 30 years' experience. In 2002 she was appointed Director of Psychology at the Royal Children's Hospital, and in 2005 she took up the position of Theme Director, Critical Care and Neurosciences Research at the Murdoch Childrens Research Institute. She is an NHMRC Senior Practitioner Fellow, and a Fellow of the Academy of Social Sciences Australia, the Australian Psychological Society and the Australasian Society for the Study of Brain Impairment. Professor Anderson's research is focused on improving our understanding of childhood acquired brain injury (e.g., traumatic brain injury, stroke, concussion), chronic illness (e.g., cystic fibrosis, cancer, chronic fatigue) and neurodevelopmental disorders (e.g., ADHD, learning disability). Her team is internationally recognised for their longitudinal work covering a range of modalities including neuroimaging, cognitive, social and behavioural outcomes, as well as psychological interventions for these children and their families. Professor Anderson has published over 250 papers in peer-reviewed journals, as well as four books and has obtained competitive research grants totalling over $20 million. She is Associate Editor of the Journal of Neuropsychology (British Psychological Society) and Neuropsychology (American psychological Association)and consulting editor on a number of prestigious international neuropsychology journals. She has served on the Board of Governors of the International Neuropsychological Society, and has had a long-term involvement, at an executive level, with the Australasian Society for the Study of Brain Impairment and has been President of the Society.